Love is just the beginning... of the end. When Mason Starling rescues an unconscious young man from the ravages of a terrible storm—and he rescues her from the otherworldly creatures lurking in that storm—little does she know her whole life is about to spiral dramatically, mystically out of control. Someone is trying to kill her, someone else is trying to use her, and the only one who seems willing to help her is the tantalizing, dangerous stranger who can’t even remember who—or what—he is. All he remembers is his name: Fennrys Wolf. What Fennrys doesn’t know is that, thanks in part to his past actions, a crack has appeared in the barrier between the mortal world and the Beyond Realms. The crack has opened up a nexus of dark energy in the middle of the East River and it’s attracting the attention of powerful entities on both sides of the rift. Because of that, a longstanding truce involving the members of several ancient underworld cartels is now in jeopardy. Mason, Fennrys, and the students of elite Gosforth Academy—a neutral-ground “safe haven” for children of the Families—soon find themselves caught in the crossfire as the servants of the warring pantheons fight to see whose gods come out on top...and whose demons go down in flames. 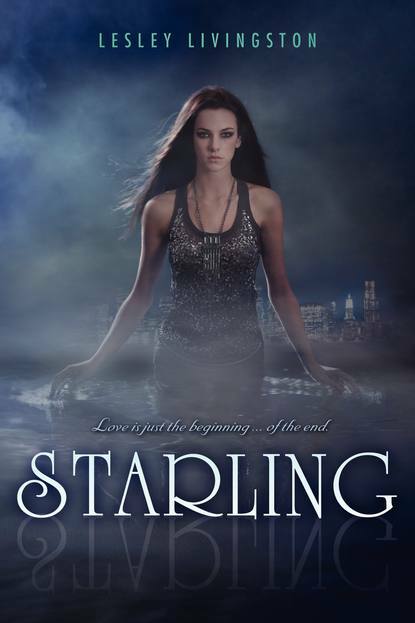 Set in New York City, with all its dark, gritty sparkle, the STARLING saga explores the spaces between the worlds and the realms of the ancient gods… only a heartbeat beyond. It’s a tale spun from ancient mythologies—Norse and Greek and Egyptian—filled to the brim with adventure, danger, and romance, and played out against the backdrop of a city with its own siren-song. From the universe of Lesley Livingston’s WONDROUS STRANGE, a new series and captivating heroine make their exciting debut. Isn't this cover awesome?! I, personally, cannot WAIT to get my hands on this one. What about you guys?